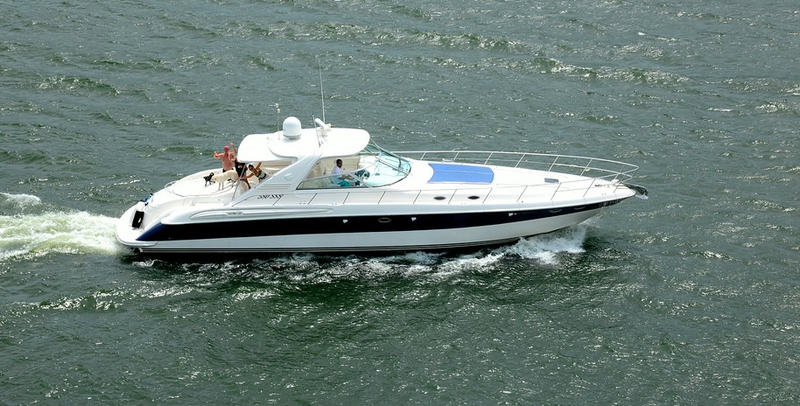 This 1999 Sea Ray 580SS is equipped with Twin Cat 3406's 776 h.p. each, Westerbeke 15KW generator 3,487 hours, Cockpit heat and air, New canvas and upholstery in the cockpit, Dual bow thrusters, 3 new a/c units, New bottom 11/15, Has a 12' dinghy with 3.5 Merc, Radar, Sat t.v., Cockpit ice maker and table, Two vacuflush heads with separate showers, Dual refrigerator, Trash compactor, Blender, Coffer maker, Microwave, Birds Eye Maple interior, Upgraded stereo, 3 t.v. 's, Windlass, Remote spotlight, Front and rear sunpads.